In a state that’s been plagued with on-and-off drought conditions for more than six years, UT has worked to decrease its water usage, but the University still has a ways to go if it’s going to meet future sustainability goals by 2020. UT has become more sustainable since 1980 when the University was using one billion gallons of water per year. Across buildings, irrigation, chilling stations and an on-campus power plant, UT used 706 million gallons of water — the equivalent of about 17.5 million bathtubs or 1,071 Olympic pools — during the 2012-2013 fiscal year. By 2020, UT is hoping to decrease all energy usage, including water, by 20 percent and drastically increase the portion of recycled water used. But the University set its 2009 water usage — the year it used the most amount of water since 2007 — as a baseline, and future campus growth in the Dell Medical School district, an additional chilling station and a lack of water meters in several large campus buildings all pose challenges to UT’s sustainability goals. Ana Thiemer, manager of the renovation and replacement program at UT, said collecting data on how much water individual buildings use plays a crucial role in achieving water sustainability in buildings. The University uses water meters to track usage in 160 buildings, including dorms, large academic buildings and student activity areas. “[We can] target those buildings that use the most water — either technically with fixtures or behaviorally,” Thiemer said. But there are several buildings on campus that are not tracked by a meter, which leaves the University without a full picture of where its water is being used. In 2012-2013, the University’s breakdown of water usage showed that more than nine percent of UT’s total water consumption came from these non-metered sources. Patrick Mazur, a technical staff associate for energy and resource conservation, said most non-metered buildings are small facilities that use very little water. “These meters are very expensive, and in some instances it doesn’t make economic sense to put a three thousand dollar meter on a building that uses a couple of hundred dollars worth of water a year,” Mazur said. Still some large buildings including RLM, one of the largest on campus with 19 floors, go without meters, but they are scheduled to receive meters soon as the building-metering project is still in process, Mazur said. UT utilities and management staff say they’re confident the data they are collecting will help them strategize to meet conservation goals by 2020, but construction can pose a threat to sustainability. The University is set to soon begin developing the Dell Medical School area on campus, which is expected to include 10 new buildings and a new chilling station. While buildings may be assumed to be the main source of water usage, the chilling stations and UT’s Weaver Power Plant use the most water and play the most critical role in UT’s future conservation efforts, as they have the most opportunity to use recycled water. The water used by the four campus chilling stations, which cool down older buildings, and the power plant makes up more than half of UT’s water usage. UT purchased 95 percent of its water from the City of Austin for $3.96 million, while the rest came from reused water sources. The University uses two different methods to recycle water on campus. 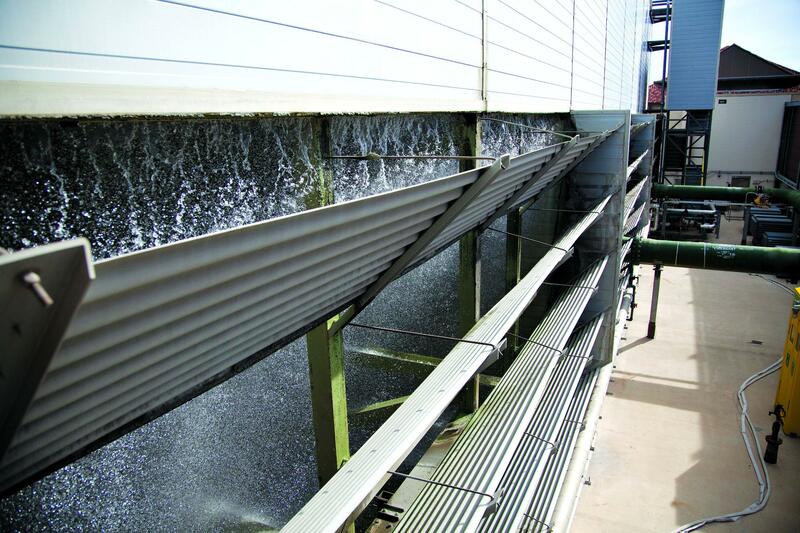 Until earlier this year, UT only recovered water by harvesting it from the condensation of cooling towers. 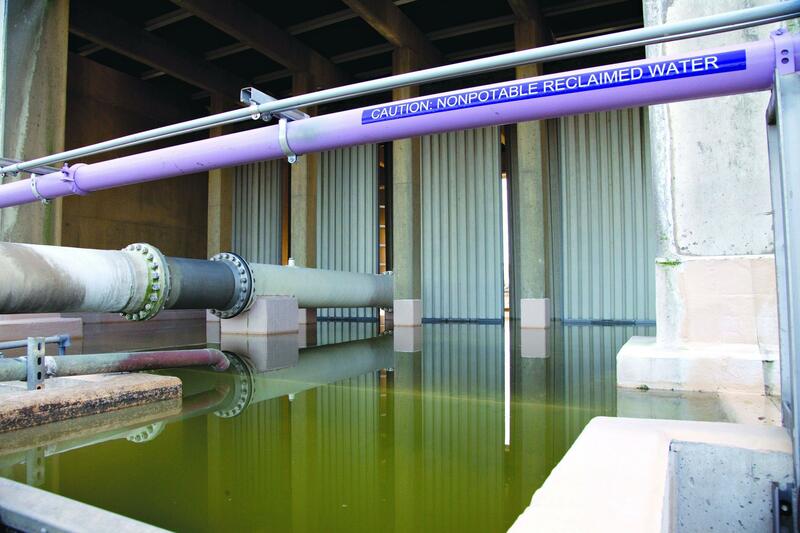 In April, UT connected City of Austin pipes that carry treated sewage water, or reclaimed water, to one of its chilling stations. In just the last three months of the last fiscal year, that chilling station used 48 million gallons of reclaimed water, which is a more inexpensive source of water for the University. In order to be able to increase its percentage of recycled water from 11.5 to 40 percent by 2020, the University will have to hook more chilling stations up to pipes carrying reclaimed water. Installing reclaimed pipes in chilling stations is difficult, considering the measures that must be taken to not contaminate regular water, said Juan Ontiveros, executive director of utilities and energy management. “Our underground utilities on campus are very, very dense. It takes a lot of pipes, electrical systems and tunnels to water campus,” Ontiveros said. Ontiveros said UT hopes to use reclaimed water in the fifth chilling station it will build for the new medical school district in the Brackenridge area. UT has made moderate progress in conservation in the other areas, but it owes much of its water consumption cuts to its irrigation system. Since installing a central irrigation system that tracks water flow throughout campus, UT has reduced its irrigation use by 66 percent. 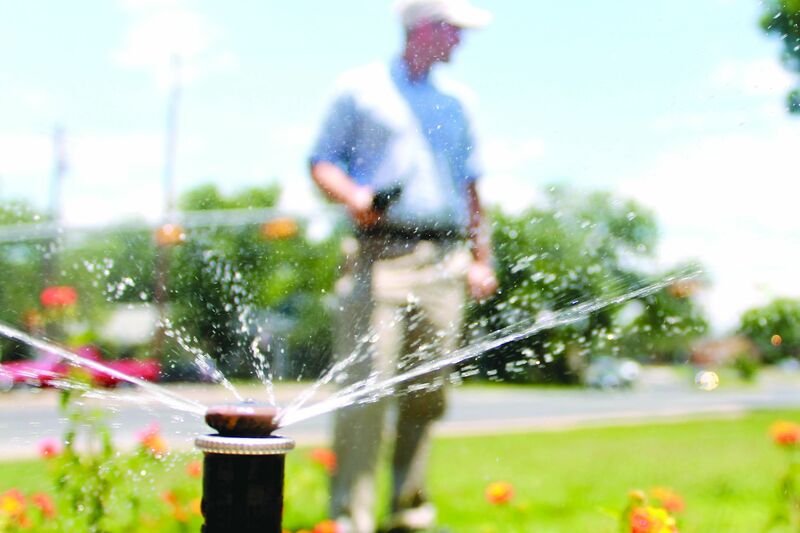 Irrigation program coordinator Markus Hogue said the central irrigation system can find leaks in sprinklers and automatically turn them off. It also adjusts the amount of water needed based on weather data it tracks daily. Because of heavy rainfall, Hogue said facilities did not water most grassy areas of campus during in October and will likely not need to water in November. “Because of this new system, we can communicate better with each other with the data collection that we have,” Hogue said. UT’s water usage during the last fiscal year is the least amount of water it has used in the past seven years. Stacked up against other Universities of comparable size and population, UT does well in terms of water consumption, according to data from the Association for the Advancement of Sustainability in Higher Education. Of the 229 institutions that apply for sustainability recognition from the association, only one four-year institution larger than UT, in terms of population, is using less water. Institutions of comparable size to UT are using much more water. Texas A&M, for example, reported to the association 1.8 billion gallons of water consumption, more than double what UT used in the past year.